I am pumped for Adobe Summit 2019 next week. 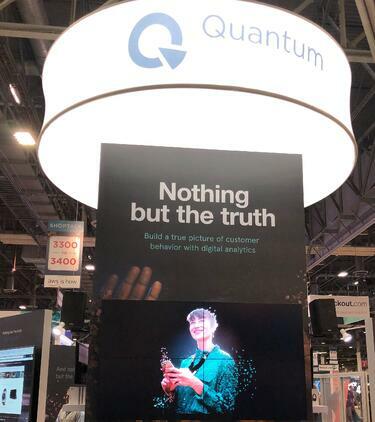 Quantum Metric is sponsoring and I cannot wait to jump into the many user experience conversations we will be having at our booth (come on by!). We like to grab your attention with our glowing spinning signage. 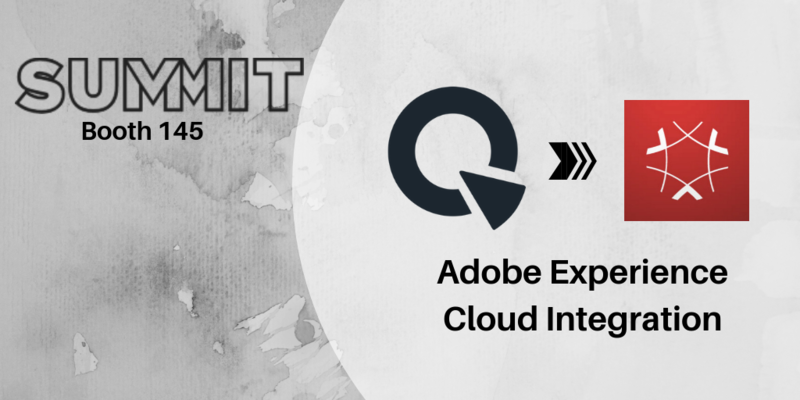 But I am most excited to unveil Quantum Metric’s extension for Adobe Experience Platform Launch, the next-generation of Adobe's tag management technology. Beyond the basic benefits of re-architecting Adobe Dynamic Tag Management, Launch presents an exciting opportunity for standardizing data intake and federation with the many products in the Adobe Experience Cloud. We realized immediately as we analyzed the Launch integration that there was a huge opportunity for us do something that no one else in our space has ever done: send behaviors and experiences from Quantum Metric to anywhere within the Adobe Experience Cloud ecosystem in real-time. Yes, you read that right. Real. Time. Identify exit intent or confusion on your site and personalize the experience. Quantum Metric analyzes customers in real time and empowers tools like Adobe Target to deliver contextual A/B/n testing, creating better customer experiences. Combine rich experience data with existing customer data in Adobe Audience Manager. Capture experiential data points throughout the entire customer journey to create brilliant, contextual re-marketing campaigns. Enrich your marketing performance metrics with experiences and behaviors to deepen your understanding, adding customer context to the sea of analytics data. Are you interested in learning more? Reserve a spot to meet with us or drop by Quantum Metric’s booth (#145, look for us by the Adobe setup) at the show!